Join Coast Diamond for the Robbins Brothers’ Dallas Annual Designer Event! Spring is almost here and there is no better time to plan your spring proposal than now. Robbins Brothers and Coast Diamond have got you covered when shopping for a spectacular engagement ring. Make an appointment and come into the greatest jewelry designer event in Dallas. Coast Diamond and seven-plus designers on-site! 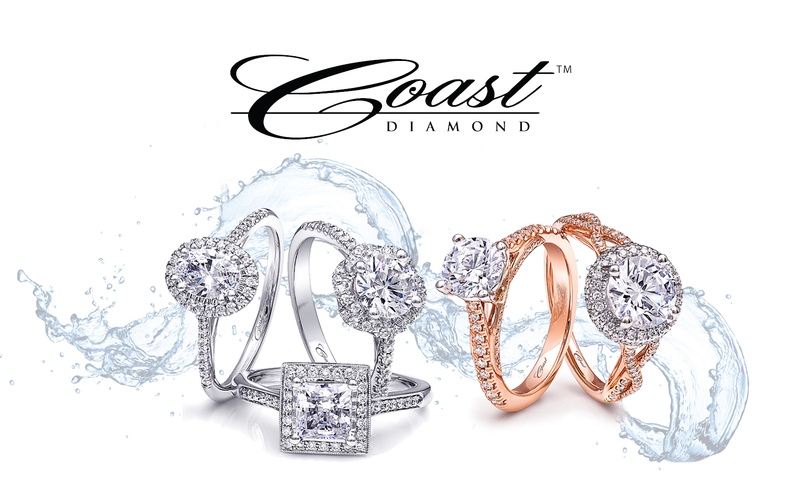 A Coast Diamond representative and the Robbins Brothers‘ expert staff will be available to help you shop for your dream engagement ring or wedding band, upgrade your diamond or find the perfect gift for your loved one. The classic Coast Diamond cushion-shaped engagement ring (LC5257-0.50) with a halo of round diamonds. The perfect gift: Coast Diamond Signature Color Collection 13.18CT pear-shaped aquamarine pendant (PA1452-AQ) surrounded by diamonds. See the Robbins Brothers’ special event webpage for complete details of the Annual Designer Event or contact the Dallas store with any questions, (972) 385-0614. We look forward to seeing you at Robbins Brothers Dallas! *On purchases of $500 or more with your Synchrony Bank credit card from 3/18/2016 to 3/19/2016. Subject to credit approval. Minimum monthly payments required. **Restrictions apply. See store for details.